The Belfast Free Library has a growing collection of digital resources, to which we subscribe for our patrons use. We now offer Self-e a new platform connecting indie authors, libraries and readers in Maine and the world. See below for more information. The Download Library is now cloudLibrary! More information on setting up your device can be found here. Download popular eBooks and eAudiobooks for free to your phone or tablet with the Belfast Free Library's cloudLibrary. This is a collection of downloadable audiobooks and ebooks from Recorded Books, which you can listen to or read on an iPod/MP3 player, smartphone, tablet or computer. There are currently 200 e-audio and 85 e-book classic titles in the collection, many of which can be used by an unlimited number of simultaneous users. To get started you must either sign up online at the library, or use the barcode number on the back of your BFL library card to sign up on your computer or device. If you’re interested in independent, international, classic, or documentary films, you’re in luck. 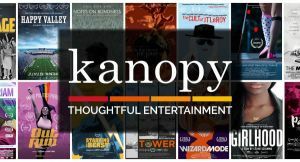 Get out your library card and sign up for Kanopy, Belfast Free Library’s new on-demand video streaming service. Maine’s online resources have been known as MARVEL since 2004.The Maine State Library and Maine InfoNet are introducing the 2018 replacement, the Digital Maine Library! A new name, a new logo, a new website and new technologies providing access to both old and new content. The Digital Maine Library provides every resident of Maine with access to online resources that include a collection of full text articles and abstracts from magazines, newspapers, journals and reference. It also provides students, business people, public library patrons, and higher education students and educators the ability to use online learning tools. Click here to learn more. Use our community engagement tools to create, share, and discover content all within your local library. Now, local writers, bands, musicians, filmmakers, photographers, artists and cultural arts organizations can publish their digital books, music, images, videos and other media directly onto BiblioBoard for inclusion in the library’s collections. With a little social media savvy, this can be a springboard for developing a fanbase both for the artist and for the library.